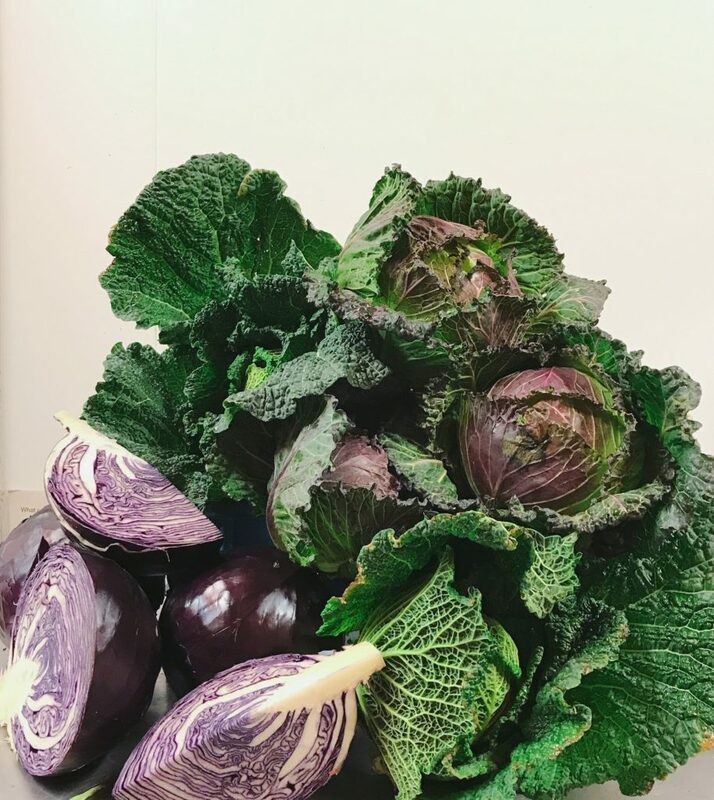 The UK brassica range is abundant this week. There is a wealth of cabbages to choose from: savoy, tundra and january king. Kale in red, green, Russian and winter wonderland varieties, as well as cavolo cero or ‘black kale’ (look out for Strawberry Fields’ – it’s lovely). Cauliflowers from Cornwall are plentiful and sprouts once again prove they are not just for xmas. Our French watercress grower has the flu, so we’re not expecting it in for a few weeks. It’s in our grocer nature to recommend an alternative to fill the gap: how about rocket, again from Strawberry Fields in Lincolnshire?! It’s big-leaf rocket with a peppery flavour. At this point in the apple season our supply comes from those growers that keep their stocks in controlled atmosphere storage; Paul Ward and Baxter, both in Kent. Smaller growers have to make sure they sell up by January otherwise the pressure drops too much, which make them crumbly in texture. Now is when you start seeing lots of popular red-skinned varieties such as Gala and Braeburn – generally sweet and juicy. Good value can be found in Italian kiwis and Lancashire sprout tops. Sprout tops are literally the top of the sprout plant, a tender rose-shaped bud with a milder (better?) flavour than the brussels that grow near the bottom. Steam or stir-fry for short amount of time.